What’s happening in Sonar World? Welcome to the Sonar Group. We are a family run independent record and publishing company based in Coventry, UK. We have been established here for over 30 years and have several labels – Sonar Records, Frantic Records, Psalm Reader Records, and Dodgy Ticket Records and have a catalogue of local artists on vinyl and CD. Sonar Artists Crokodile Tears and Cary L are now in the official local charts with Paul Sanders at 24 and 26 respectively!!!! Here is Week 57 Of The Official Local Charts and we have the youngest person to not only be in the Charts but to also hit number 1 with 451 votes beating 2nd place Matty who got 431 votes and MC Liburd with 288 Votes. 02. Matty Rock N Coles I Wanna Be High! The Mysterious Monks are working on a new album for release in 2019. We are looking forward to RECORD STORE DAY on Saturday 13th April. Be sure to check out our vinyl products in Head records in leamington Spa! Happy birthday to Croks main man Christopher Sidwell who celebrates this month!! Hello October, with Christmas within our sights, you might want to get down to HEAD RECORDS in Leamington Priors and pick up some Sonar stocking fillers! Great news that HEAD records in Leamington Priors are now stocking Sonar Artist products!!! Pop in to browse Crokodile Tears, Courtiers Of Fashion, Furious apples, Cary L, 20 Days, The Sweethearts and Mysterious Monks. 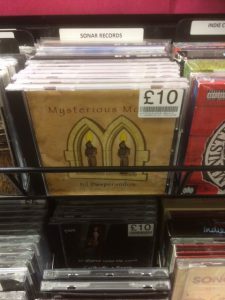 Treat yourself to a limited edition 12″ from Laughing House, Decipher the mystery of the Monks with their CD’s, discover what was ‘Maid In Meriden’, and do a spot of ‘Engineering’ all at leisure under the cover of the Priors shopping centre, Leamington Spa!! 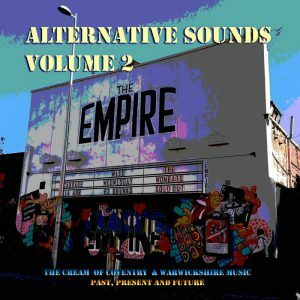 Get the ‘Alternative Sounds – volume Two’ from here – support Coventry artists! Cary L track ‘Single Bed’ from her new album ‘Only The Night Knows’ is the featured song for August on HILLZFM. The album ‘Only The Night Knows’ is on heavy rotation on the Keith Fabrique show!! Find us at the Alternative Sounds party at the Golden Cross pub in Coventry on Friday 20th July at 7.00pm. See you there! The new album by Cary L – Only The Night Knows – is now available in the Sonar shop. 02/05 Just listened to HILLZFM and Keith Fabrique’s interview – a mega 7 parter – Keith played a selection of tracks from ‘Mysterious Monks’, ‘The Sweethearts’, ‘Blush’ and ‘Cary L’ in-between stories from Jon and Cary reminiscing over the years and talking about the up and coming release of The Alternative Sounds Compilation CD Volume 2. The Mysterious Monks have been working hard and have a couple of albums in the can. Working on a release date soon. Cary L has nearly finished her album and is trying to decide on an album title and artwork for iminent release. Finished our ‘father and daughter’ interview with the fabulous Keith Fabrique at Tinkle studio. We talked about the Mysterious Monks, Blush, Cary L, L’Homme De Terre, Cabin Studio and the general Coventry scene back in the eighties. Lots of memories and we have two tracks on the new Alternative Sounds – VOLUME 2 – Looking forward to hearing it on Hillz fm due to be broadcast on 2nd May 2018. Tracks from the Monks and Blush accepted onto the Alternative Sounds Vol 2 – Exciting stuff!! Happy New Year from the Sonar Records Group!! A new year for new music. Cary is in Big Sky studios again working on some bass and vocal tracks. She hopes to be finished by early Feburary and mixing…. 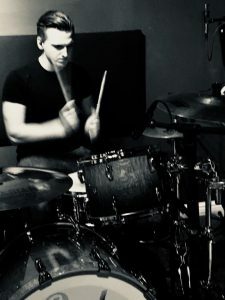 Cary L is in the studio recording some new tracks for the Summer! We are a family run independent Record and Music Publishing company based in Coventry, England. Established for over 30 years we have a catalogue of predominantly Coventry based artists. To celebrate our 25 year anniversary in 2009 we released a compilation album (Sonar Music – 25 years) and Chris Sidwell (Crokodile Tears) put together a press release for the album which explains it all…..
Liverpool had the Cavern Club and Ringo Starr but here in Coventry we had Cabin Studios and Robin Hill. It’s hard to believe that we’ve now had over 25 years of Sonar Music and indeed Cabin Studios and that’s all thanks largely to one man, Jon Lord (but not the one in Deep Purple as he always reminds us!) 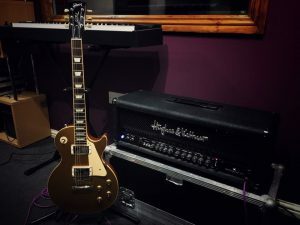 Producer Paul Sampson who has also been at the Cabin from the start crops up a lot on these tracks and is well known for his work with Catatonia and the Primitives along with many others. Gdansk take their name from a place far, far away. ‘Stand up’ is taken from their first E. P. and feature the Cunningham (Cov’s very own Gallagher?) brother and are still gigging today. This might make Gdansk one of the longest running of the ‘new wave’ of Cov. bands (post Lft. Pigeon). Sonar artists ‘Mysterious Monks’ hail from Coventry and have a mysterious, yet fascinating history with the Sonar label. Graham Wale (keyboards, lead vocals, composer) and Jon Lord. (lyricist and lead vocals) have been meeting every week to write songs together for over 45 years. They have released 4 CD albums on our Psalm Reader record label available to purchase through the sonar shop. Read more about them here. Coventry artists The Croks have been releasing product on dodgy Ticket records since the beginning. See the homepage for latest news. The Croks have some vinyl offerings and CD products available from the Sonar Shop. Cary has been releasing product on Sonar records since the beginning under various names including Blush and Cary L all available from the Sonar Shop. See her own page for more details. Her albums are now also available in HEAD RECORDS Leamington Spa!! Coventry’s hip duo take their influences from American sitcom ‘Laverne and Shirley’ for the immensely catchy ‘Laverne I Love You’. Once this gets into your head you won’t get rid of it. Read more about the duo here. Much loved Coventry band fronted by Greg Crabb with his brother on guitar. Coventry guitarist/singer/songwriter, Dave Pepper played guitar with Coventry punk band the X-Certs, who began life in 1978 and lasted for 3 years. Between leaving the X-Certs and starting up his biggest band in the U.K (Blitzkrieg Zone), Dave flirted with several musical styles, one of which was the new romanticism of ‘Courtiers of fashion’. This is a very rare recording originally released in 1983, the first record on the Sonar record label now available as vinyl or download. 2009 saw the anniversary of the Sonar Records Group of labels set up by Jon Lord. We decided to see if any of the bands that had released product on the labels would like to get together for a gig and guess what….they did! Please direct any enquiries for postage abroad to this email. Thanks for looking, come back soon!